Eating noodles!. nom nom nom :3. 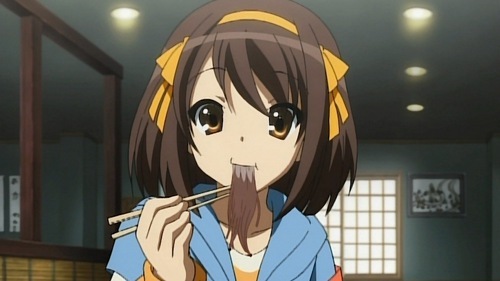 Wallpaper and background images in the Haruhi Suzumiya (Character) club tagged: haruhi suzumiya cute. This Haruhi Suzumiya (Character) photo might contain anime, komik, manga, and kartun.